Tequila, lime, salt, and other fruity flavors…margaritas are truly a winning combination. These south-of-the-border favorites are a big hit across North Dakota. 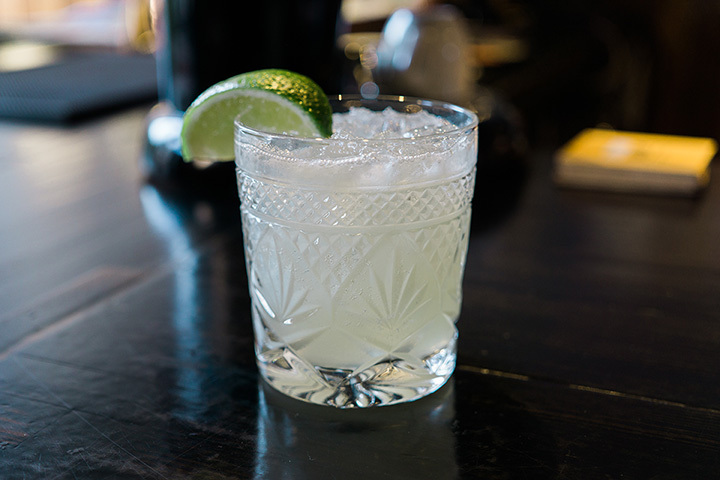 Whether you like yours with a salted rim or complemented by a fresh lime, here are the best places for margaritas in North Dakota. Consistently rated as one of the best Mexican restaurants in the area, Fargo’s Mexican Village has undoubtedly delicious food. The atmosphere is festive and vibrant, and the staff are all quick and unbelievably friendly. As well as a large food menu, there is also a full bar with a sizable selection. The margaritas are available in 21 different flavors (banana, banana mango, electric blue raspberry, kiwi, kiwi banana, lemonade, mango, melon, orange cream, peach, pina colada, pulsar pink cherry, raspberry, strawberry, strawberry banana, strawberry kiwi, turbo tangerine, watermelon, or wildberry) and there’s even a build-your-own margarita option in which customers can choose their tequila, orange liqueur, and lime flavor to perfectly fit their tastes. The menu at Bismarck’s Paradiso Mexican Restaurant is full of favorites like chimichangas, burritos, tacos, seafood, vegetarian dishes, and desserts like fried ice cream, sopapilla, and flan. However, one of their best menu items is their refreshing margaritas. Be adventurous and try one of their unique margarita flavors like blue raspberry or very berry, or just order a classic margarita for an unbeatable drink! Street food-styled meals are hard to come by in North Dakota, but Vinyl Taco fits the role perfectly! This modern and trendy Fargo eatery serves up Mexican street food and delicious cocktails in a lively and colorful dining area that has music themed decorations and art. The classic margaritas are available as either regular, strawberry, or raspberry, and the cadillac margaritas made with milagro silver, patron citronge, simple syrup, fresh lime juice, and a salted rim with a lime wedge. You’re not going to want to miss these drinks and tacos! Charras & Tequila claims to have “the best Mexican food north of the border” and the residents of Devils Lake resoundingly agree! The affordable plates are piled high with authentic, hot, and delicious food, and with all the items on the menu, there is surely something for everyone. The margaritas are a must-try, and are available as either the house margarita, Texas margarita, margarita maxima, or frozen margarita. Bottoms up! For years, this restaurant has provided Bismarck with tastes of bona fide Mexican eats. Not only are the experienced chefs experts at preparing and seasoning perfect food, but the bartenders can make a margarita that’ll knock your socks off! Margaritas are available in flavors like original lime, peach, strawberry, banana, mango, raspberry, or pina colada, as well as skinny margaritas or jalapeno margaritas (hornitos silver tequila, agave nectar, fresh lime juice, cointreau, fresh jalapeño). Mi Mexico Restaurant has been serving Minot for over 10 years and they’ve grown quite a fanbase in that time. This fun, community-centered restaurant offers a free meal on your birthday, military discounts, as well as daily specials. The menu has so many yummy options, but the margaritas are a local favorite. They are available in flavors of lime, strawberry, peach, or mango. El Toro Mexican Restaurant is a Wahpeton gem! The service is incredibly fast and friendly and the atmosphere is warm and welcoming. The meals are big enough to serve multiple people and each menu item is delicious so you can’t go wrong when ordering! Margaritas are available to wash down all the tasty food and are available in several unique flavors. With colorful walls, lively music, and authentic Mexican decor, eating at El Sombrero is just like eating a meal south of the border! The wait staff are all professional, quick, and friendly, making every dining experience special. The margaritas go great with the hot Mexican cuisine. The drinks are serving in large glasses and they don’t skimp on the tequila! With over 40 beers on tap, 80 bottled beers, and the largest wine selection in the state, as well as top-notch margaritas, Williston Brewing Company is the best place in North Dakota to get drunk. In addition to great margaritas, the menu also has plenty of food options like burgers, steaks, sandwiches, pizzas, pastas, soup, salad, and desserts. Mango’s is a trendy Fargo eatery that offers both Mexican and American cuisine, a perfect combination! The menu includes favorites like salads, wraps, vegetarian options, quesadillas, burritos, enchiladas, fajitas, molcajetes, and more. The margaritas are some of the best around, so they’re a must-try while dining at Mango’s Mexican & American Grill.